quality and yield while reducing cycle times. A lot of your responsibilities require that you have the right gas at the right time in the right state. with hazardous air pollutant regulations. needed in reaction and process optimization. Inducing simultaneous nucleation of all the vials inside the freeze dryer chamber. formulations, vaccines and non-aqueous solvent-based drugs. Overcoming dissolved-oxygen limitations in aerobic microbial fermentation systems. Primary and back-up refrigeration equipment. Secondary and tertiary cryogenic back-up systems. You need reliable sources N2 (nitrogen) O2 (oxygen) and CO2 (carbon dioxide) to support a wide variety of key processes. Your gases must comply with a variety of quality standards including GMP (Good Manufacturing Practices) and the FDA. Nitrogen plays important roles in maintaining process quality. You need gaseous nitrogen for blanketing: protecting processes from moisture intrusion, oxidation, degradation and contamination. Additional uses include purging, pressure transferring, mixing and capturing air emissions. 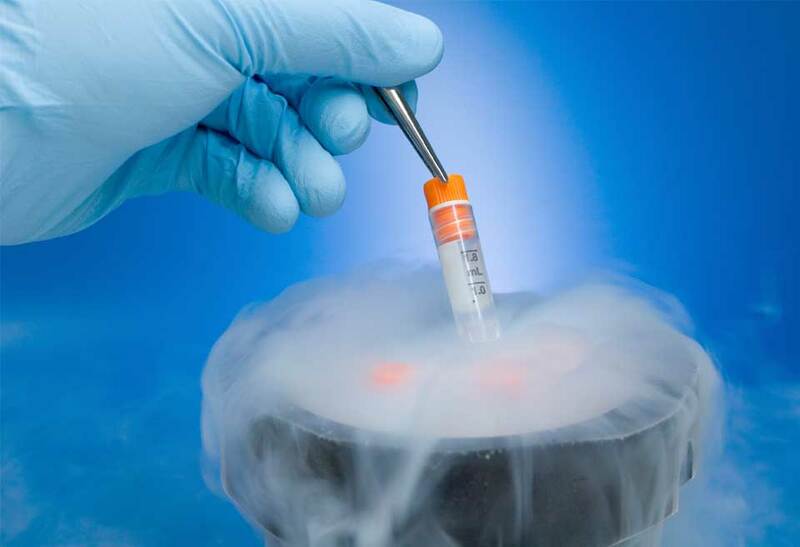 You also need cryogenic liquid nitrogen to control temperature in reactor cooling applications and to preserve biological samples (via lyophilization systems). Oxygen plays critical roles in cell growth applications in fermenters and bioreactors. Carbon dioxide is used for a variety of applications including your bench-top incubators. In manufacturing, you use CO2 in fluid chromatography. In wastewater treatment application, you need CO2 for self-buffered pH controls. 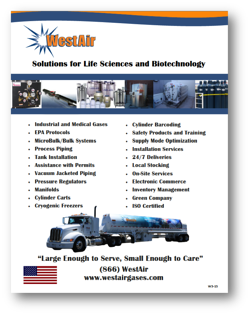 WestAir offers complete solutions for Life Sciences and Biotechnology companies. Download the brochure. You want to focus your attention on research, development, scaling-up, and production. Whether you’re looking for a reliable supplier for your gas requirements, or if you have an immediate shortage or emergency to address, you can count on WestAir. With WestAir, you also have access to a team of gas and safety experts that can help you analyze your needs and provide training.